I’m surprised no one made any jokes about being a ham or mocking. 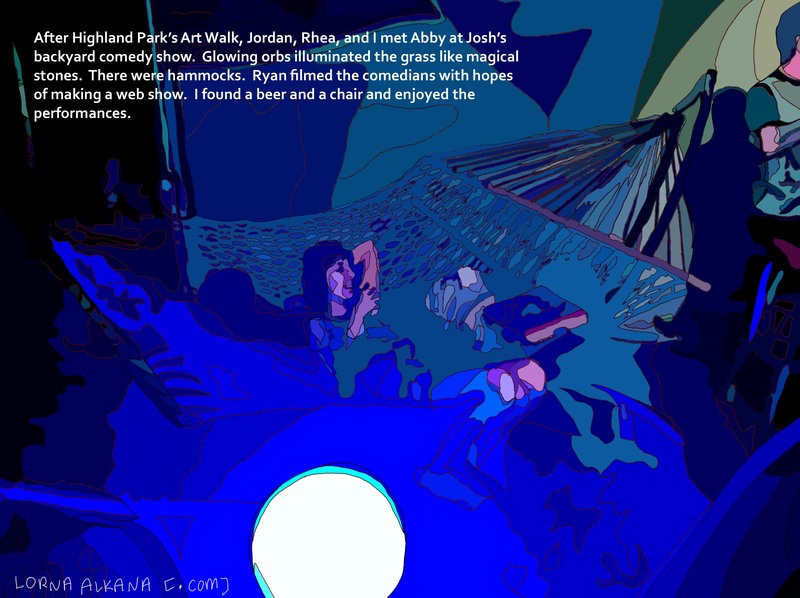 Image Text: After Highland Park’s Art Walk, Jordan, Rhea, and I met Abby at Josh’s backyard comedy show. Glowing orbs illuminated the grass like magical stones. 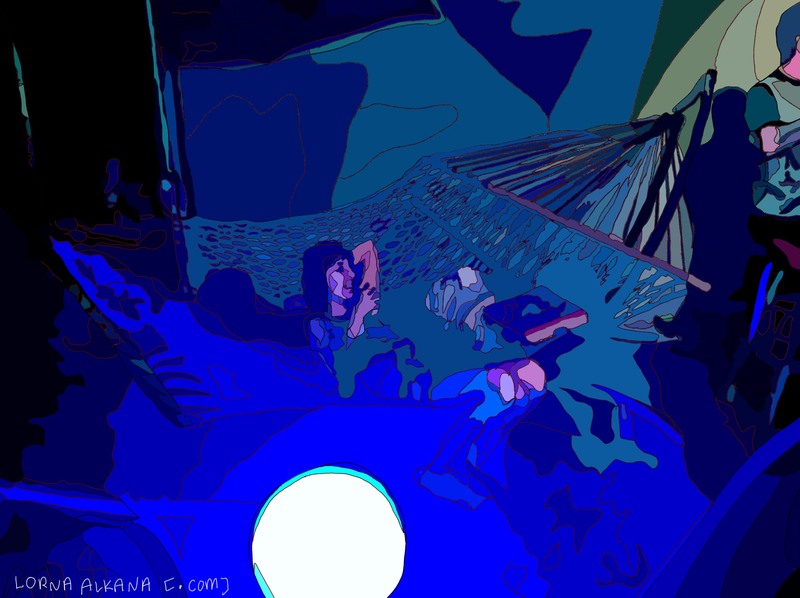 There were hammocks. Ryan filmed the comedians with hopes of making a web show. I found a beer and a chair and enjoyed the performances. No joke, indeed we all do have a hammock. Mine is art and my garden. Is that in the hammock district?